This was one of the much awaited notifications . 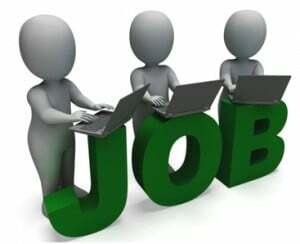 There is much demand for the steno jobs and here is complete information regarding the UPSC stenographer 2015 recruitment that was released recently. Candidates have to meet the eligibility criteria in order to apply for this vacancy. Many more details about the details can be found . Online applications can be filled by the applicants from: 21st July 2015 to 7th August. Candidates must apply Online by using the link given in the website www.upsc.gov.in and the Online Application Form can be filled from 21st July 2015 to 07th August till 11.59 pm after which the link will be disabled. Candidates should ensure that all columns of the Online Application Form are filled-in correctly. No Correspondence will be entertained by the Commission from candidates to change any of the entries made in the Application Form. The completed printed copy of the application form duly verified/certified by concerned Head of Department/Office must reach the Under Secretary (E-VI), Union Public Service Commission, Dholpur House, Shahjahan Road, New Delhi-110069 on or before the prescribed date. “e-Admit Card” of the admitted candidates to this examination will be uploaded on the UPSC website www.upsc.gov.in three weeks before the date of commencement of this examination and can be downloaded by the eligible candidates.